Looking for a great deal? 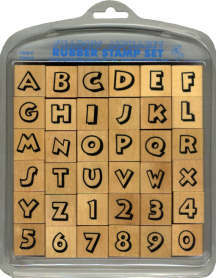 Not worried about the cosmetic look of a rubber stamp set and just want something that stamps well? 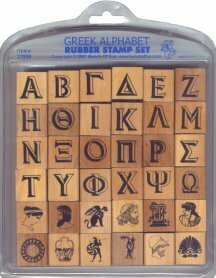 Then you may want to consider the stamp sets below. 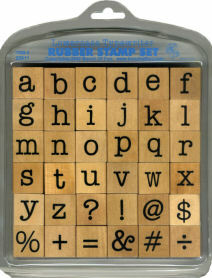 What's Wrong With These Rubber Stamps? - The wood may have; excess paint on it, ink stains, chips, scratches, naturally occurring discoloration. 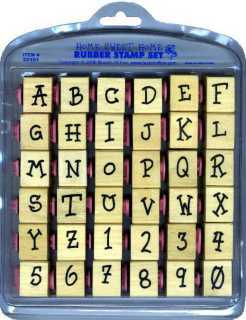 - The plastic case may; be cracked, bent, loose, have paint & ink stains. - The rubber may not be well attached to the wood mount. 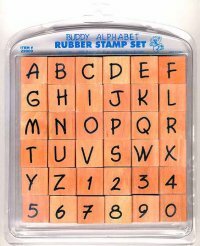 Suggested methods to re-attach the rubber are double-sided tape, rubber cement or crazy glue (be careful not to get this on the front of the rubber). 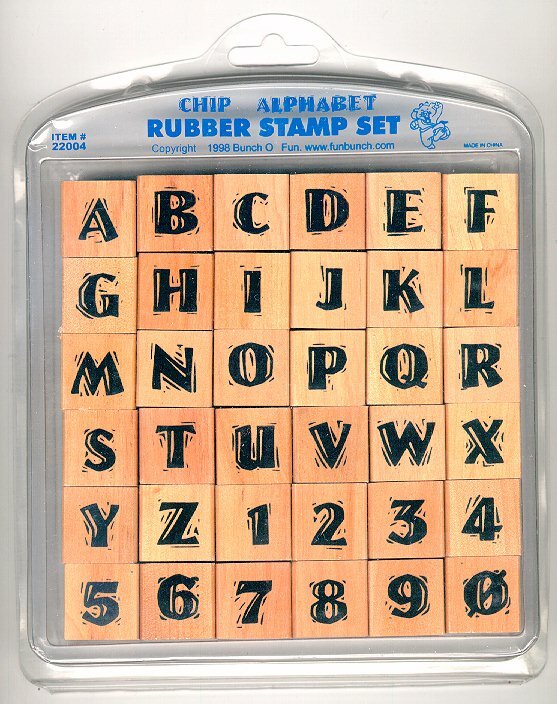 1) The pictures below show brand new rubber stamps. 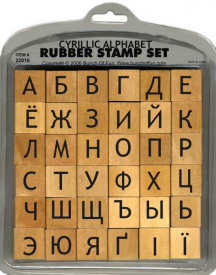 Bargain bin items don't look as nice but stamp just as well as the new ones. 2) Due to the discount, all sales are final. No returns. If there's a problem with the rubber, please email us, we'll try to help. 3) Quantities are limited! Check this page every couple of weeks to see what's available. 4) Bargain bin items can only be shipped to the USA & Canada. A hand printed and casual type style for friendly correspondence. 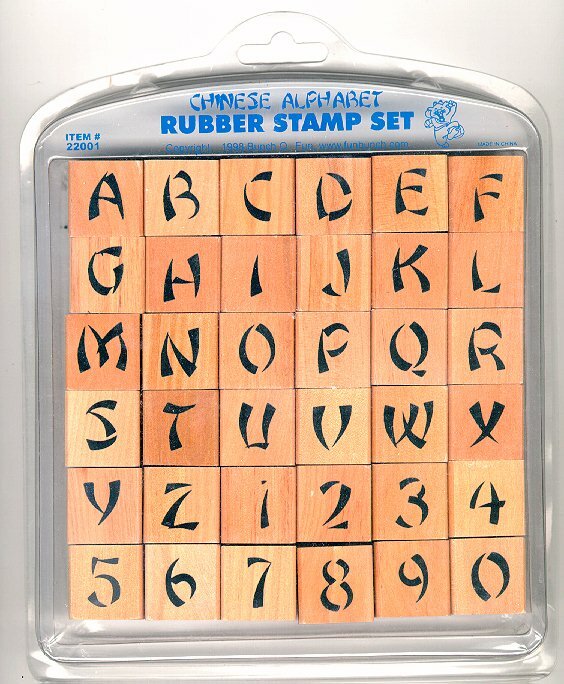 Count on these stamps when you want to add an oriental look & feel. 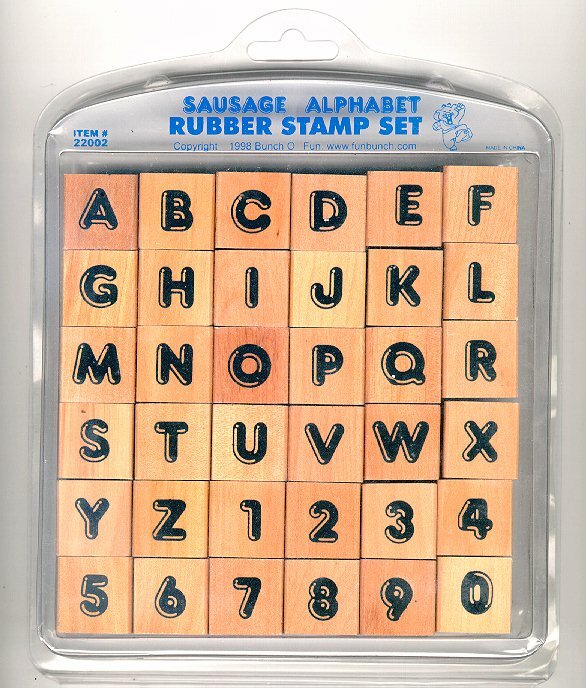 When you want big, bold letters, the Sausage stamp set will do the trick. 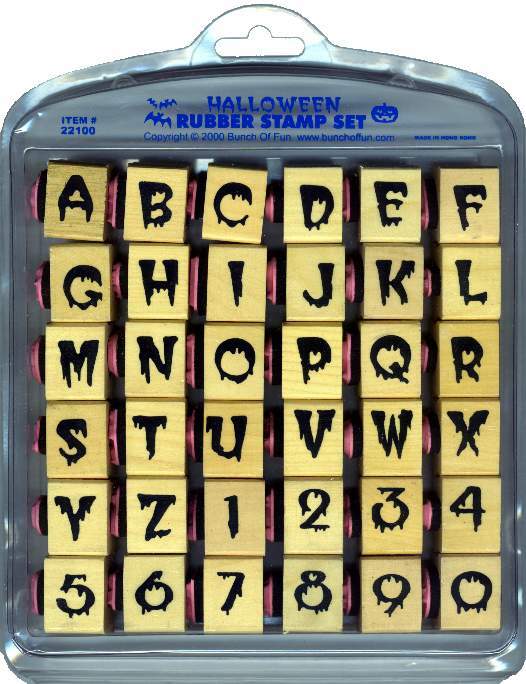 Make greeting cards, party invitations or wrapping paper...use your imagination! 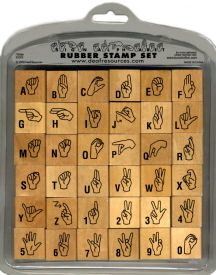 Note: Both the hand picture and the letters / numbers stamp out. 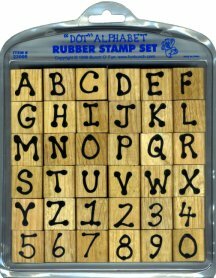 Hand-carved look of wood, great for your camping scrapbook pages! 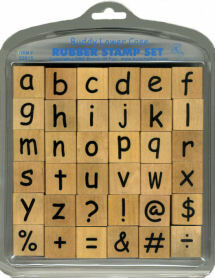 The classic look of upper case typewriter text. For smaller versions of this (as well as lowercase) click here. 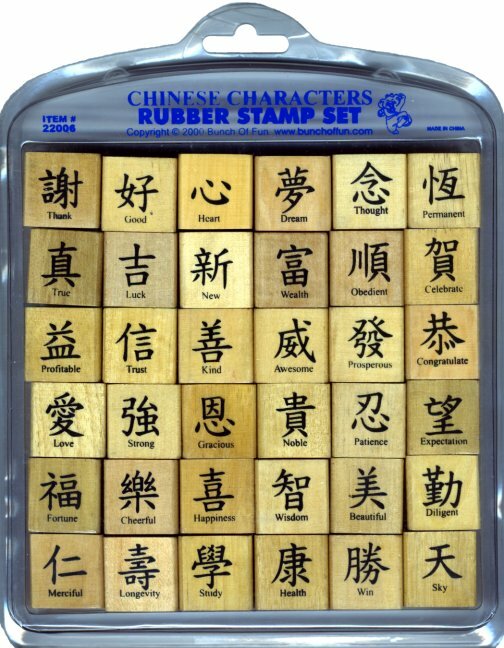 A great collection of Chinese characters for all your Oriental projects, looks good as a temporary tattoo also! 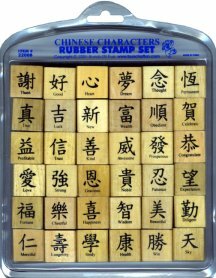 Note: English translation does not stamp out, only the Chinese writing. Click here for a list of all the meanings. You can also find a smaller size of this set by clicking here . 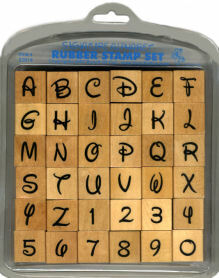 Easygoing hand lettered look works well on greeting cards, scrapbooks, tags and more! 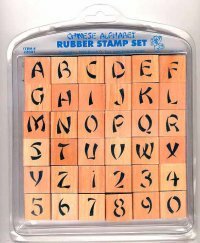 Twenty six ornate Celtic-inspired letters along with ten Celtic designs (which look great as temporary tattoos). 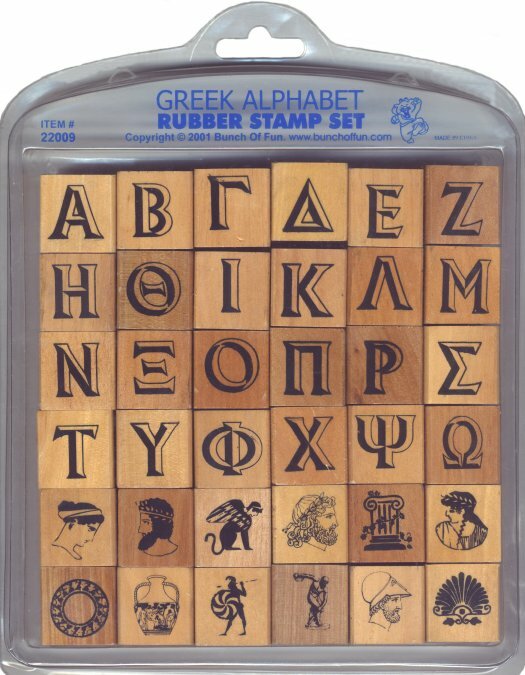 This Greek alphabet contains 24 letters along with 12 Greek-themed pictures. 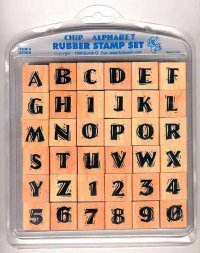 Stamp your fraternity / sorority letters on envelopes.. 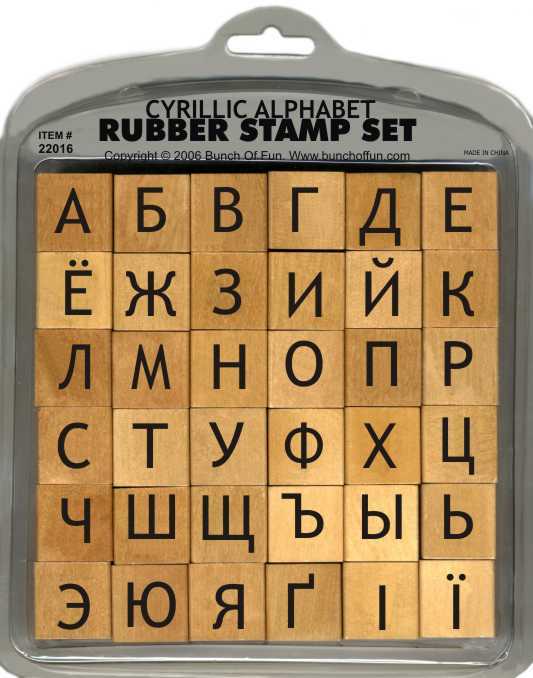 This alphabet has a wild cartoon look, perfect for kids' projects..
Thirty six Cyrillic letters. Use them in your scrapbooks, greeting cards and a whole lot more! 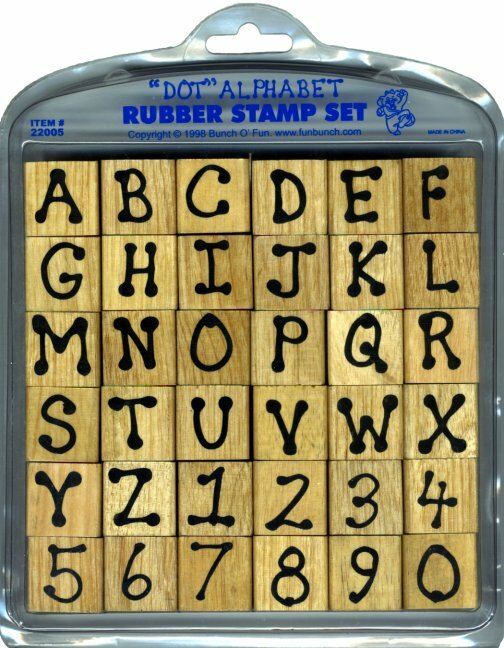 Letters & Numbers embedded with stars and stripes. Would look great in your scrapbook with your fireworks photos. 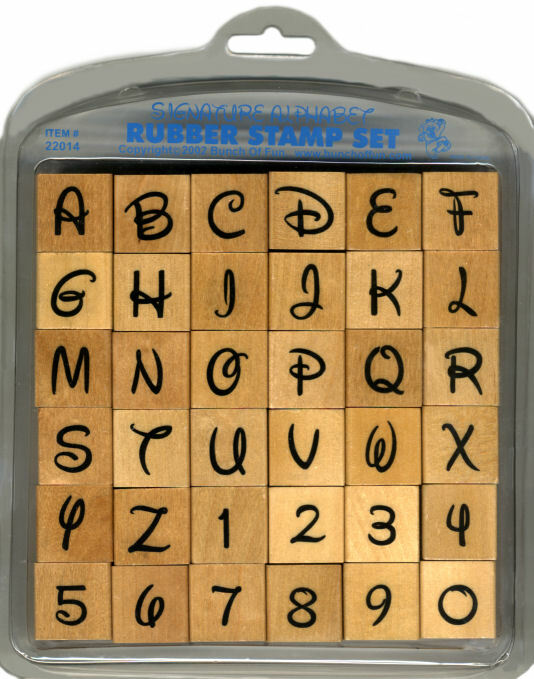 Great looking signature alphabet with numbers. 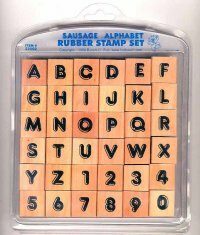 This is the lower case equivalent of #22007 above. We also have smaller sets here. 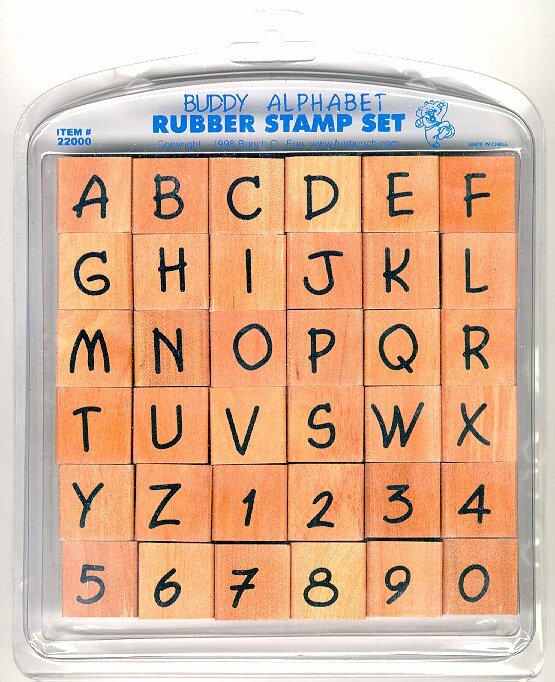 This is the lower case equivalent of the Buddy alphabet set, #22000 at the top of this page. Copyright © 1997 - 2013 Bunch Of Fun. All rights reserved.